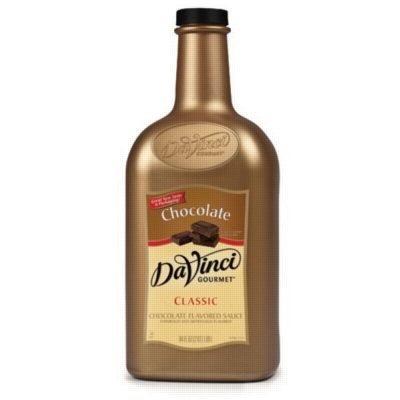 DaVinvi Gourmet Chocolate Sauce is a rich, decadent, sweet cocoa flavor. Chocolate is back and better than ever! Created especially for mochas and cocoas. INGREDIENTS: High Fructose Corn Syrup, Water, Cocoa, Caramel Color, Salt, Artificial Flavor, Sodium Alginate, Potassium Sorbate (preservative), Acetylated Monoglycerides, Distilled Monoglycerides.